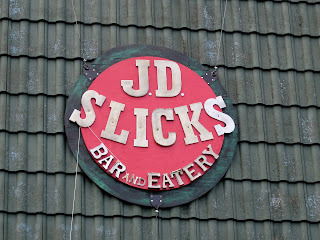 JD Slick's is a large bar in a small town. 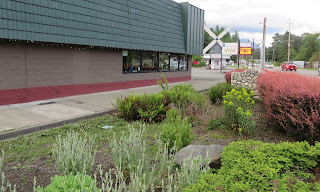 Sultan, Washington lies northeast of Seattle, between the coast and the Cascade mountains and at the foot of the Cascade Loop, squeezed between the Wallace and Sultan rivers as they flow into the Skykomish. The old logging town has a population of about 5,000 people, and it was closer to 1,000 in August of 1968 when some 20,000 hippies rolled into a raspberry farm just out of town to attend the first Sky River Rock Festival and Lighter than Air Fair. 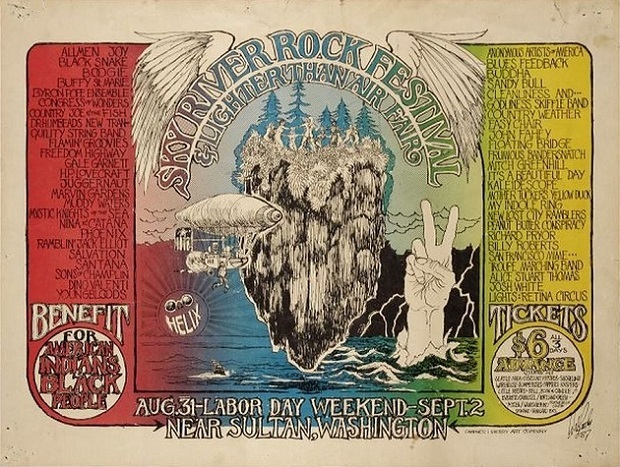 The music festival, held a year before Woodstock and inspired by the Great Duvall Piano Drop, included The Grateful Dead, Santana, Muddy waters, Richard Pryor, John Fahey, Gram Parsons and many other performers. 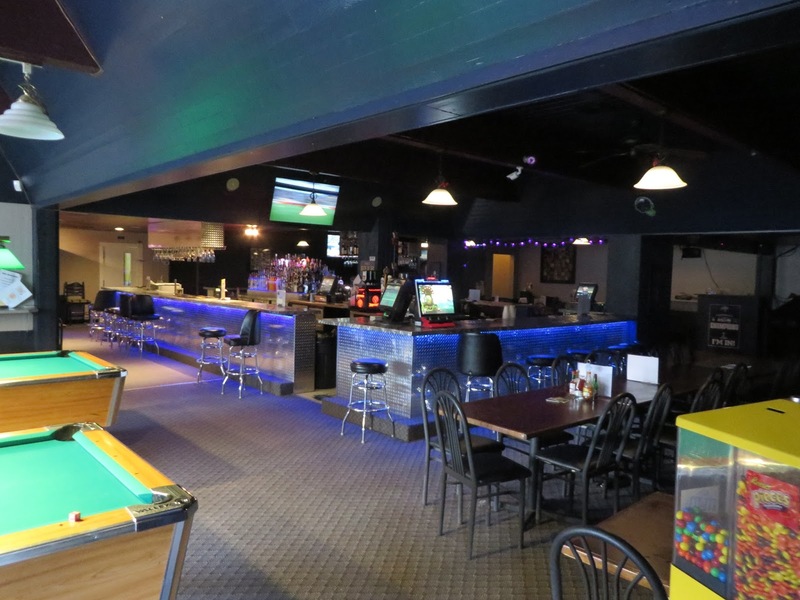 Although there is a new Sky River Rock Festival scheduled for August 2017, JD Slick's seems a world away from that -- its decor more like a cross between Studio 54 and an Applebees, and the politics skewing conservative. 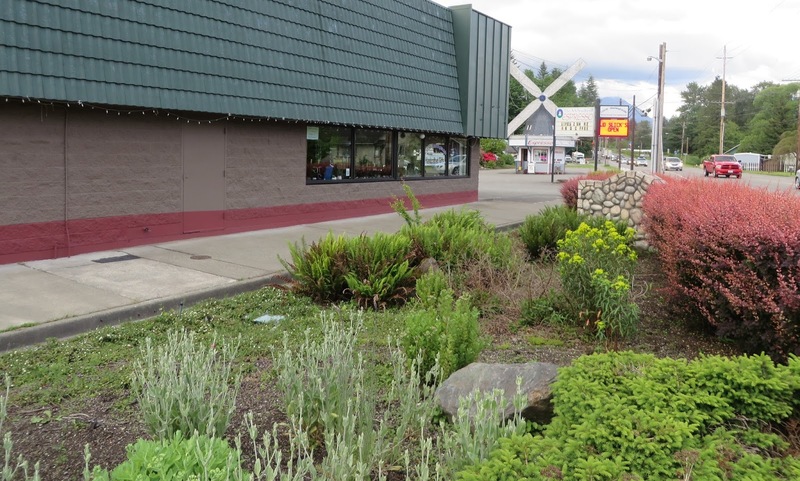 But it does host live music -- sometimes Christian rock and mostly country -- and notably one Joe Slick Band. 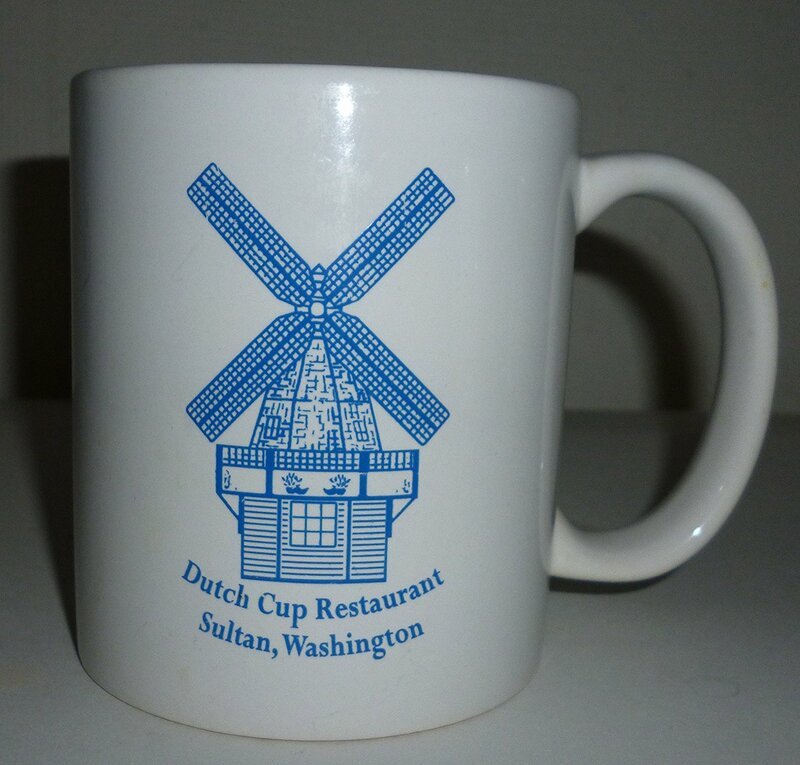 Joe and Dawn "Slick" Schlicher established the place in May of 2013, in a building where the Dutch Cup Restaurant and Lounge had been running since the 50s (the old Dutch Cup windmill now hovers above an espresso hut across the parking lot). 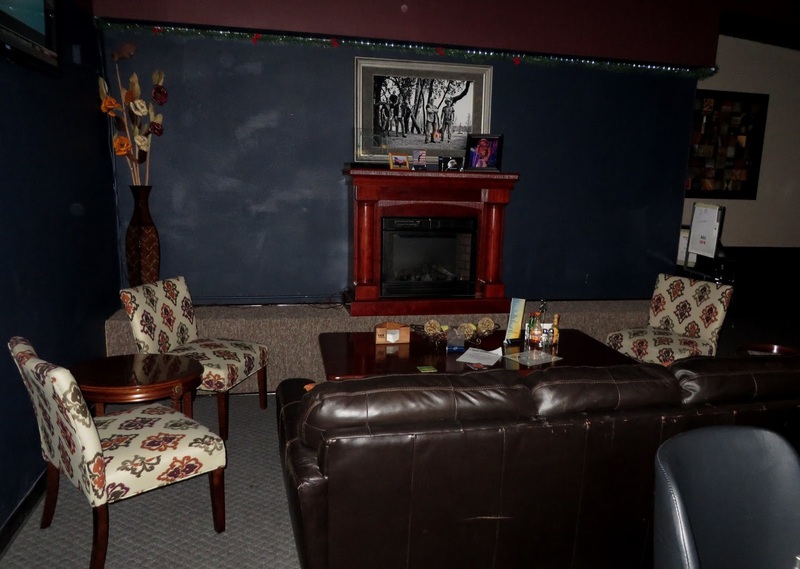 While it now looks like a big techno dance club, like a lot of the larger bars in smaller communities, it seems to provide a little bit of everything. All the standard suburban sports bar boxes are checked -- the Seahawks on TV, karaoke, pull tabs, pool tables, banquet chairs, Taco Tuesdays, trivia nights, Texas Hold'em, and beer pong. 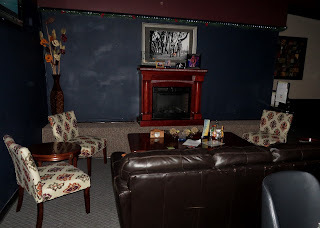 There's a dance floor, a sizable beer garden out back with horseshoe throwing, and they have special events for holidays and their annual arm wrestling event. 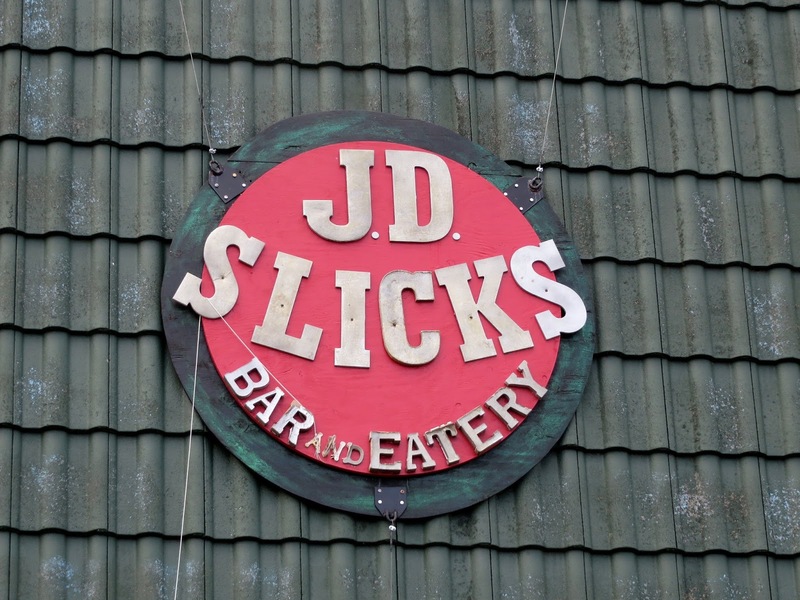 JD's has a fairly standard bar menu of burgers, sandwiches, salads and fried foods, a small selection of craft beers and broader assortment of corporate standards. Four beers in a bucket of ice will cost you $11. The cocktails are generally candy flavored vodkas and lots of canned sweet juices. The staff are super nice and the kitchen seems to always be open.